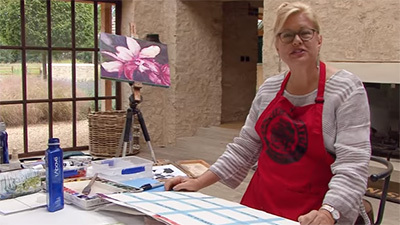 Filmed in his studio in Melbourne, Bob takes us through a series of exercises in watercolour, encouraging us to experiment with the medium and understand what watercolour can do. 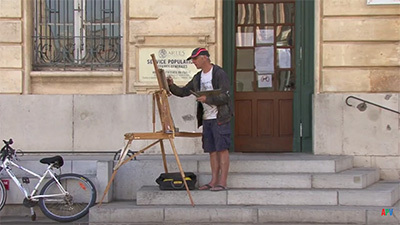 Using a variety of techniques such as wet into wet and dry brush, he begins by producing abstract shapes, progresses through to finding form and shape in abstraction and finally to finished paintings. A lot of fun and enjoyment and plenty to learn. 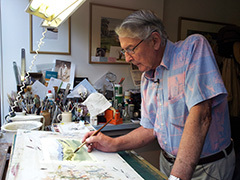 Aged 21, Robert Wade approached one of his painting heroes for advice. That was to paint six postcard-size watercolours a week for six months so as to become familiar with the properties of the medium. �I didn�t take it�, he adds candidly. Older and wiser, however, he says he has come to understand the value of what seems to me the equivalent of a musician practising scales and recommends it to all his students. The final painting is a riverside scene worked up from an earlier painting. This brings all the techniques together in a time-approved fashion and shows how the composition can flow when you don�t have to stop and think about what to do next, or start trying to experiment on a finished work. 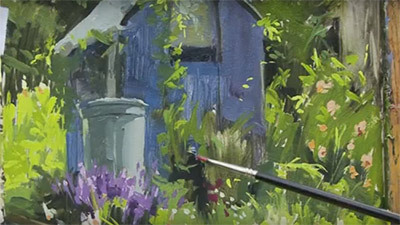 Fascinating as it is, it can�t be ignored that, not being done plein air, this does lack a little of the spontaneity one might perhaps expect. It�s still an impressive effort, though. 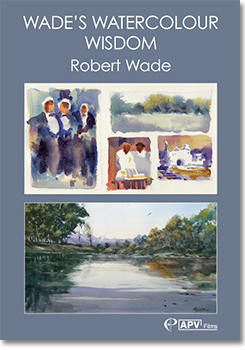 Wades Watercolour Wisdom is the fifth film by Robert Wade and sees the Australian artist experimenting with the medium of watercolour. 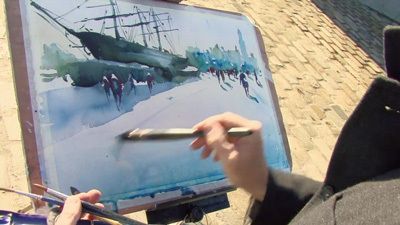 In a series of exercises filmed in his Melbourne studio, Robert encourages us to push the medium further, using wet into wet and dry-brush techniques. By stretching both his own capabilities and that of the medium, he finds form and shape in abstract shapes which he then harnesses into his finished paintings, all the while keeping the viewer entertained with his lively commentary. The exercises are designed to put you in control of the unexpected. By practising what the medium is capable of, you can use its unpredictability to your advantage. 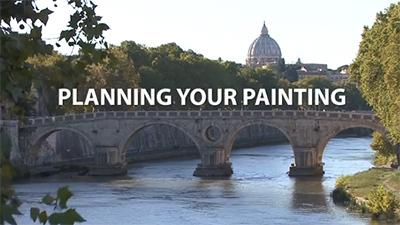 Four demonstration paintings follow, including a landscape, a seascape, a sky and, finally, a riverside scene. 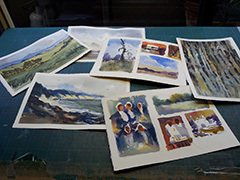 Robert Wade demonstrates a series of non-representational exercises that explore and exploit the properties of watercolour. 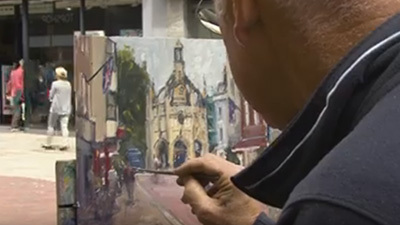 Something like this can be quite literally like watching paint dry, but Robert is canny enough to allow recognisable shapes and images to emerge gradually as he works so that the viewer's attention is held at all times. And, of course, he keeps up an entertaining commentary. The process is not unlike a sculptor looking at a block of marble to see what it contains. 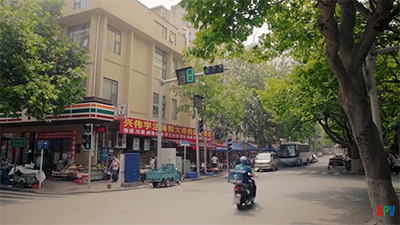 The film builds gradually towards the complete demonstration that concludes it and is full of ideas, hints and wisdom. Robert�s message is to keep practising and to find tricks and techniques that you can use when you need them.